The GST Council on Saturday completed the work of bringing all items under a 4-slab tax structure with gold attracting 3 percent rate, ending suspense on the item dear to Indians, even as all states barring West Bengal agreed on the rollout of the new indirect tax regime on July 1. Industry said that traders need to gear up for the transition as more delay was unlikely. "Gold currently has an excise of 1 percent and state charge around 1 percent VAT... keeping these various taxes in mind, and after a lot of debate in the GST Council, we have finally reached a consensus on 3 percent for gold and gold jewellery," Union Finance Minister Arun Jaitley, who heads the Council, told reporters here after its 15th meeting. Besides, rough diamonds will have a nominal tax of 0.25 percent in order "to keep the audit trail" of transactions, he said. While beedi leaf, or "tendu" will be taxed at 18 percent, beedis will be levied tax at 28 percent, he said, adding they, unlike cigarettes, which not attract cess over and above these taxes. Footwear costing below Rs 500 will be taxed at 5 percent, while those costing more will attract 18 percent. Regarding items of use by the common man, Jaitley said that even manufactured apparel costing less than Rs 1,000 would be taxed at 5 percent. Revealing that textiles was a major topic of discussion as it is a mass consumption item, he said that while cotton and all other natural fibres are in the 5 percent bracket, "man-made" fibre will attract a levy of 18 percent. All yarn will be taxed at 5 percent but man-made fibres at 18 percent. "Fabric of all categories will have 5 percent tax, while for 'made-up apparel' it will be 12 percent," Jaitley said. "Packaged food items sold under registered trade marks, which are sold at a much higher price (than food) would carry a rate of 5 percent," he said, adding biscuits, both of cheap and expensive varieties, would be taxed at 18 percent. The GST Council had convened here for its 15th meeting to finalise the rate fitment of the remaining six items, including gold as 1,211 other items had been decided at its previous meeting in Srinagar last month. Jaitley also said that in view of the many representations received on the fitments, the committee of officials would take up these cases. These, as well as other pending matters, would be discussed at the next meeting of the GST Council that has been scheduled to be held here on June 11, he added. The GST Network (GSTN) made a detailed presentation at Saturday's meeting on their IT preparedness for implementation. "Members questioned the GSTN extensively on their level of preparations and the GSTN expressed confidence it is fully ready for the work assigned to it," Jaitley said. 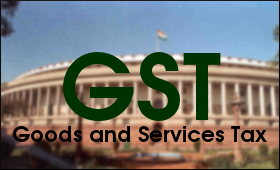 However, West Bengal Finance Minister Amit Mitra, who had earlier this week voiced serious doubts about the preparedness of the industry for GST by July 1, continued to be doubtful about the GSTN's readiness. "Entire GST will depend on one IT system of GSTN. The presentation given by them clearly shows that they are not ready and need more time. They have appointed 34 Suvidha providers for the whole country.. will that be sufficient? "We are not opposing GST. We support it. But the July 1 deadline should be extended. There should be more meetings, discussions," he told reporters. Queried about Mitra's position, Jaitley said that "the others did not share that view". Rajeev Dimri, Leader, Indirect Tax, BMR and Associates LLP, said that with the decision to implement GST from July 1, the "onus now lies on the industry to prepare" as "adequate information is now available in the public domain vis-a-vis return formats and rules, thus it is critical for the industry to gear up their IT systems for meeting reporting requirements.."
Confederation of All India Traders Secretary General Praveen Khandelwal said that "much preparedness is required at the level of traders". "Obviously many challenges will occur which needs to be sorted out and as such trial period is required," he said. Welcoming the 3 percent tax rate on gold, World Gold Council's Managing Director, India, Somasundaram P.R. termed it an "encouraging step in the current context to stabilise the industry and address the concerns of the millions employed in the industry". The Cotton Textiles Export Promotion Council (TEXPROCIL) Chairman Ujwal Lahoti said that the 5 percent was is very progressive and will lead to the growth and development of the entire value chain.